When it comes to fashion week, there are only so many looks that lend themselves to complete wearability. But that's what makes each show so magical. Watching our favorite models walk down the runway with the beauty looks we'd only channel in our dreams (or in some cases nightmares), allows us a fleeting moment to live vicariously through the models, which soothes that once-in-a-while itch to do something absolutely crazy with our beauty aesthetic. 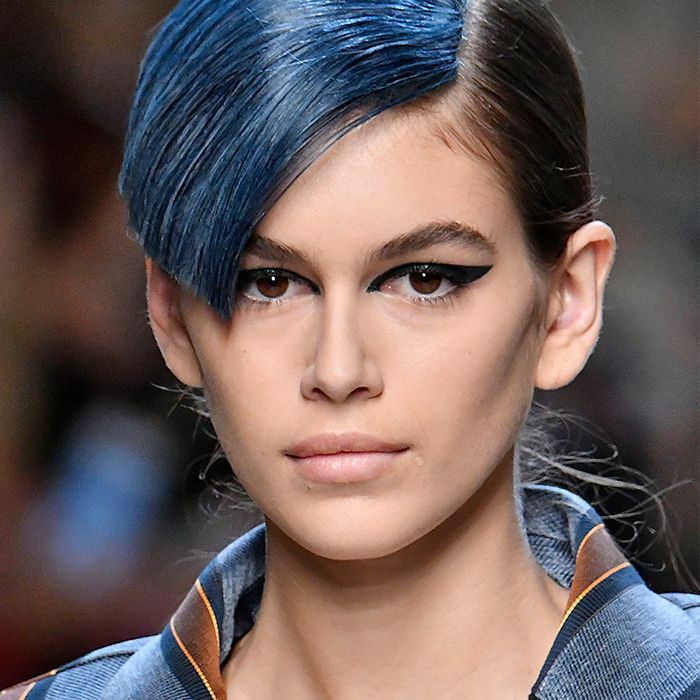 Pulling less-than-subtle inspiration from the angsty British band The Human League, hairstylist Sam McKnight describes the look to Vogue as "an English school boy cut, but exaggerated and kind of punk." Not for the faint of heart (however, Halloween is just around the corner), the '80s-inspired look is actually completely DIY-friendly—the key being the polished petrol-inspired color with moody dips of violet and purple to punctuate. 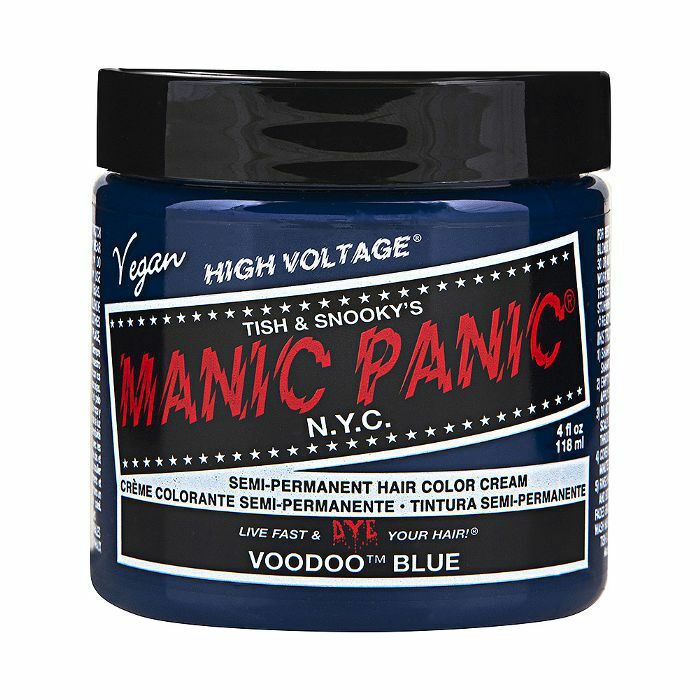 To get the look à la Gigi, Bella, Kendall, and Kaia, try Manic Panic's High Voltage Color Cream ($15). Not only is the semi-permanent formulation vegan and cruelty-free, there are more than 40 hues to choose from—all equally captivating. Blue not your color? Shades like Violet Night, Purple Haze, and Green Envy have just as much potential. Though if you want the exact Fendi look, we recommend Voodoo Blue, After Midnight, or Rockabilly Blue. Next up: "Curtain bangs" are so popular right now.